100M Water Resistance. Made in Japan. See Through Case Back. Stainless Steel Case. Type Divers. Dial Colour: Black. Watch Details Strap Colour: Black. Case Width: 44mm approx. Case Depth: 13mm approx. Case Material: Stainless Steel. PAGANI Design Brand Luxury Men Automatic Mechanical Watches Stainless Steel Band. Condition is New with tags. Dispatched with Royal Mail 2nd Class. Here is my SevenFriday P1-03 watch, it is the industrial orange model with the automatic miyota 82S7 movement. Recently serviced running great and keeps good time. I am only selling this as it does not get enough wrist time to be enjoyed to full potential. Only the watch is available, the box was lost during moving house. I will package this up securely with a hard box so not to be damaged in delivery. Details and images to follow shortly. Fantastic condition gents Girard Perregaux Gyromatic. number 2209426, with 39 Jewels. automatic watch. Watch is fully working and keeping. Dial-- Champagne signed dial with applied gold baton hour. markers, gold hands with a date window at 3 O'clock. Sorna automatic watch with 21 stones, blue dial, stainless. left hand = bezel. With Royal londo watch box. Date display on the <4>. black leather strap - classic. waterproof - 5 ATM. 2 crowns for the operation of the inner rings. Silver stainless steel watchcase and watchband. Mildly Water Resistant. Seiko Men Automatic Oyster Diver's Watch 100m Snzf17 Snzf17k1. Condition is New with tags. Dispatched with Royal Mail 1st Class. 6R15 Automatic Calibre. A sophisticated Diver Style. Another stunning, super Seiko! The casework is brilliant and the watch looks and feels luxurious. (Bracelet is available elsewhere). Ingersoll Automatic Tourbillon - Limited Edition. Condition is Used. In a word, bonkers. I don’t wear this often but when I want to make an impact, I do. It has huge wrist presence but in a classic and understated way. Diameter 46mm. 49mm including the winder. 13mm height. Great watch. Will be sad to see it go. I bought in in 2008. Lost the biz some time ago I am afraid. Dispatched with Royal Mail 2nd Class. Gents Tissot Le Locle Tradition Automatic Yellow Gold Swiss Made Watch. Date window at 3 o'clock position. Brown alligator effect leather strap fitted with buckle clasp. Sapphire crystal glass. 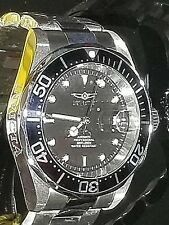 Watch is in good overall condition. I have for sale my Oris Prodiver watch. • Series: ProDiver Chronograph 51mm. • Professional Divers Watch by Oris. • Oris Calibre 774 base SW500, beats at 28'800 vph, contains 25 Jewels & has an approximate power reserve of 48 hours. With its original strap. Leather carrying case, accessories and outer. G lass Type: Sapphire Coated Crystal. Watch Details Power Reserve: Approx 40 Hours. Dial Colour: Blue. Cool skeleton dial & transparent back. Style: Luxury & Casual. Watch Girth: 24cm / 9.4in. Watch Weight: 110g / 3.9oz (Steel Band); 58g / 2oz(Leather Band). Dial Shape: Round. Case Material: Alloy. Mirror Material: Mineral Glass. Weird Ape Gents Kolt Automatic Watch. Kolt White Silver Leather Skeleton Watch WA02-005533. Complete With Weird Ape Presentation Box. Technical Automatic Watch with stainless steel case and a plum leather quick release interchangeable strap. RRP: £525.00. EDWARD EAST. Clasp: Buckle. Strap Colour: Black. Strap Type: Strap. Dial Colour: White. Head Casing: Stainless Steel. Band Width (cm): 2. Model: SEIKO SRP723K1. Polished matt black bracelet (Non Seiko) with 2 spare links. Polished Black Stainless Steel GMT Directional Bezel with White Engraved Markers. Black carbon fibre designed dial with polished black S/Steel bezel and white markers. 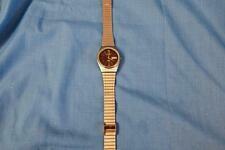 New listingMen's TISSOT POWERMATIC 80-GREAT CONDITION-FREE POSTAGE! 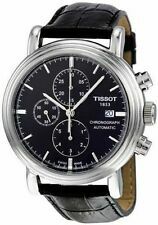 TISSOT POWERMATIC 80 AUTOMATIC. Great condition! No signs of wear! 100% GENUINE SWISS WATCH. -Case Material -Stainless Steel. FUNCTION: AUTOMATIC. BELT: 18 M M LEATHER LOOK MADE THE MARKET. AGE: 45TO 40 YRS OLD. For sale chinese automatic. conditions can bee see. Check from the list,pls -Wallis&Futuna. -United Arab Emirates. -Sri Lanka. -South Korea. -Soloman Islands. Sale includes the watch, original box (outer inner), instruction manual, and warranty card (note the warranty has now expired). RRP: £505.00. EDWARD EAST. Clasp: Buckle. Strap Colour: Brown. Strap Type: Strap. Dial Colour: Black. Head Casing: Stainless Steel. Band Length (cm): 22. 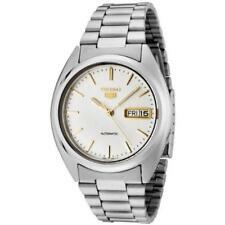 Choose from this selection of superior-quality automatic movement adult watches. The second hands rotate in a sweeping motion, moving continuously around the dial. These watches are very low-maintenance for added convenience. Whether you prefer a watch with Roman numerals or Arabic numbers, analogue wristwatches are available with a wide variety of dial features. Designed with stylish and functional displays, these analogue watches are the perfect additions to your wardrobe. LED wristwatches display the time in illuminated digits, so they are very easy to read. Typically designed with a quartz crystal and a tiny digital computer in order to keep track of the time, they are incredibly accurate. 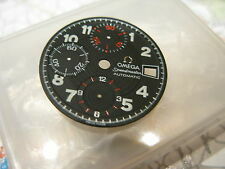 For Automatic movement adult wristwatches, what are some of the top selling items on ebay?